Wedding PR: Burnett's Boards, WeddingIQ, AllSeated and more! Wedding PR: Burnett’s Boards, WeddingIQ, AllSeated and more! 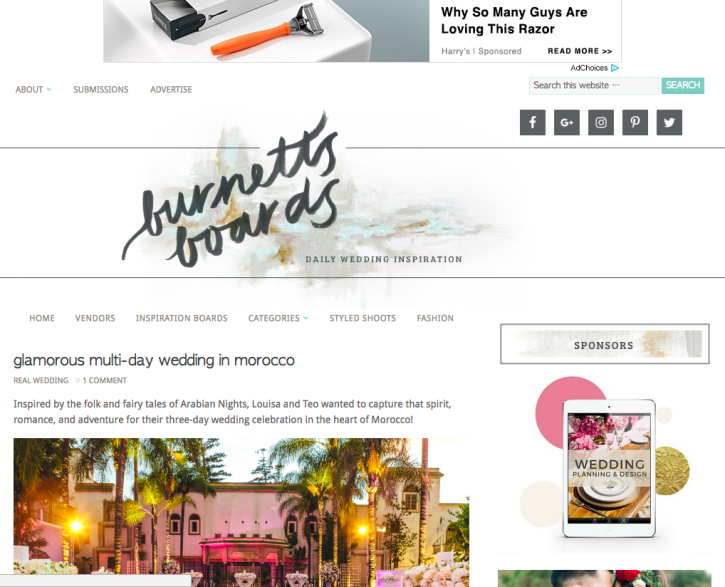 Another week means another fantastic roundup of client features, including Burnett’s Boards, WeddingIQ, AllSeated and so much more! Keep scrolling to check it all out. 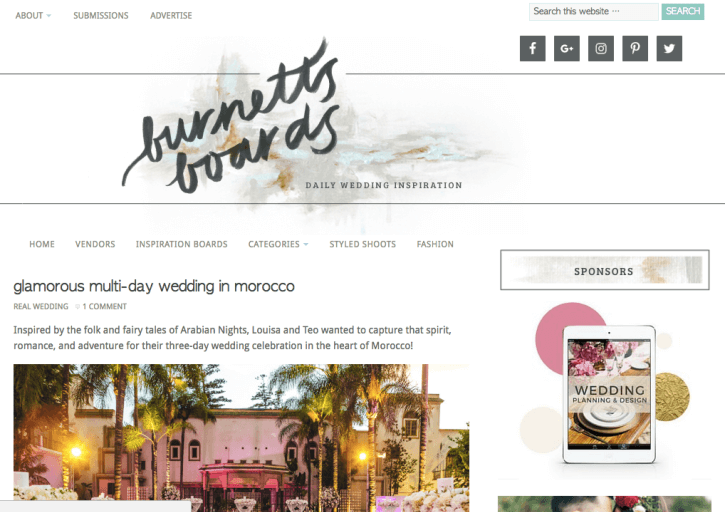 Cocoon Events Management Group was featured on Burnett’s Boards with a Moroccan destination wedding. See the full feature here. 100 Candles was featured on WeddingIQ with their guest article How to Evaluate the Return of Your Wholesale Partnership. See the full article here. LadyMarry, Passport to Joy, and Where Will They Stay? were featured on Top Wedding Sites in the article 4 Wedding Tools That Will Take You From Frazzled to Dazzled. See the full feature here. 100 Candles was featured on AllSeated with their guest article Incorporating Candles Into Your Wedding Decor. See the full article here. LadyMarry and Passport to Joy were featured on IDoTakeTwo in the article Four Wedding Planning Tools Perfect for the On-the-Go Couple. See the full feature here. Taylor’d Events Group was featured on WeddingIQ with their guest article What to Consider in Your End-of-Year State of the Union. See the full article here. Belladeux Event Design was featured on Catersource with their guest article Daytime vs. Evening Weddings: What’s the Best Option? See the full article here. LadyMarry was featured on GizmoEditor in the article LadyMarry is a Pocket Wedding Planner. See the full feature here.